constellation Casseopeia. This lies in the socalled Zone of Avoidance, so it is heavily obscured by the Milky Way. 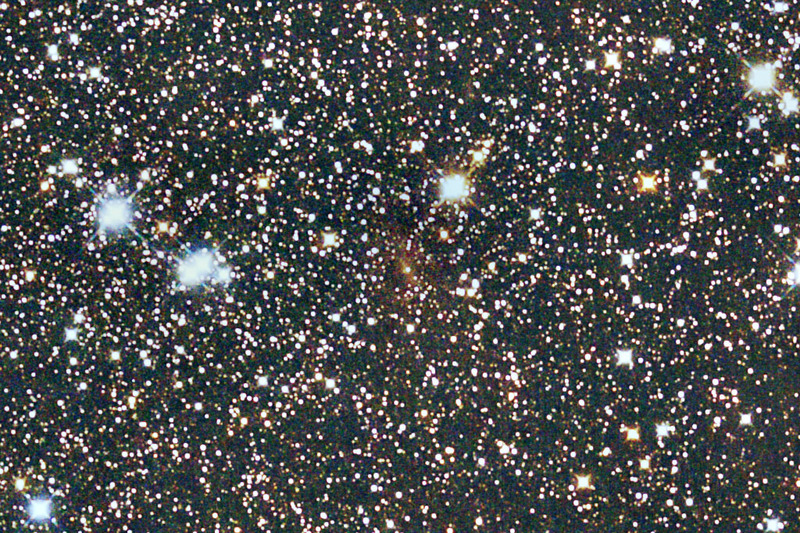 Dwingeloo 1 has a small satellite galaxy, known as Dwingeloo 2. Dwingeloo 1 & 2 are members of the IC 342/Maffei Group. opening. It is only fitting that it was a very special object, which would certainly have been detected more than 200 years ago by Messier, if it had not been "hidden" behind our own Galaxy. 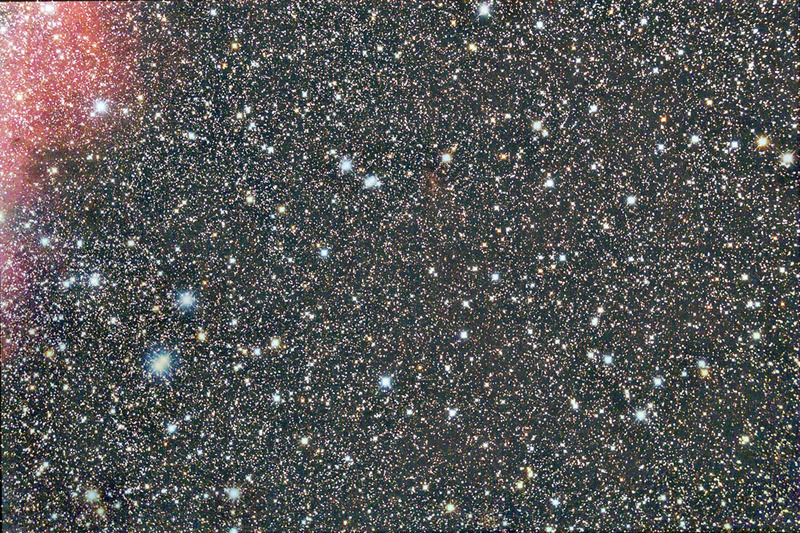 This is a full size crop from the image above, the galaxy is the faint reddish blob.